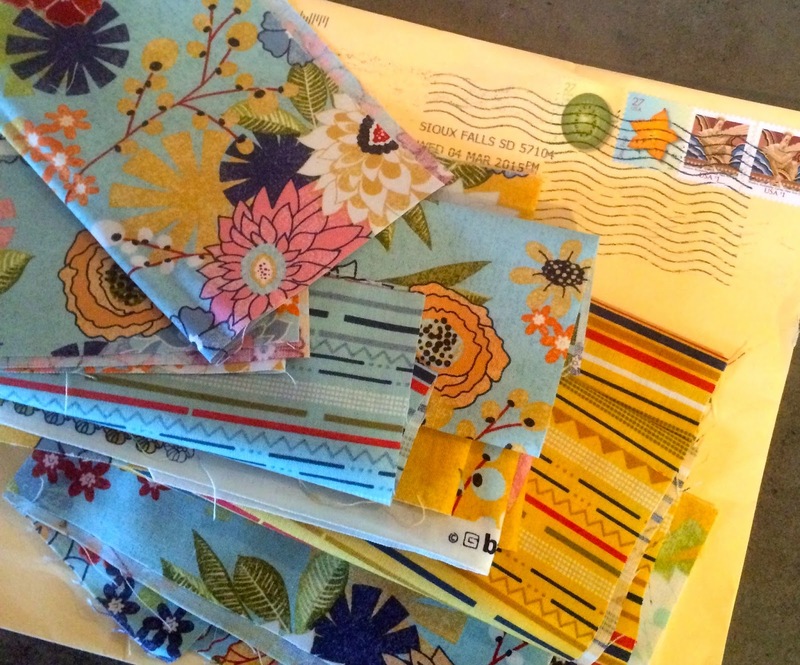 the Bear Blog: Gypsy In The Mail! I am such a lucky girl! When my friend, Thora Lee, saw that I was using the PB&J fabrics from Moda for my Gypsy Wife project, she said I could have the scraps that she had left from something she was making. Yesterday this wonderful package of goodness landed in my mailbox! These will really fill my need for better yellows and blues in my assortment. Isn't it great to have friends that know how much a scrap can mean? I have cut out what I will need to make the March blocks, according to the schedule I am following. I have a quilt retreat coming up, so I have sealed the block pieces in ziplock bags and placed the bags and instructions in the "to go" pile. When I do something like that, I worry that I will make a mistake with something and end up without the right fabrics to complete a block. So my obsessive self has packed another ziplock bag with backup pieces of those fabrics to take along. They will stay in the car on reserve in case I have a fabric emergency. Do you do this? Am I the only one? Please tell me that I am not the only quilter who brings backup fabric to retreats! And merci beaucoup to Thora Lee!